Wow, its been over a year. My poor neglected blog. I have found a new way to lighten my purse and spend my hours. Sewing. 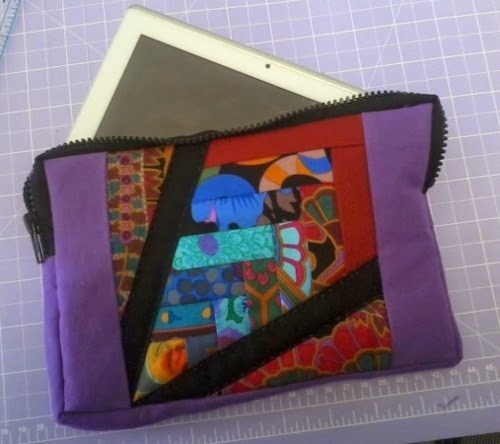 I've dabbled with sewing for many years but never really got stuck into it. 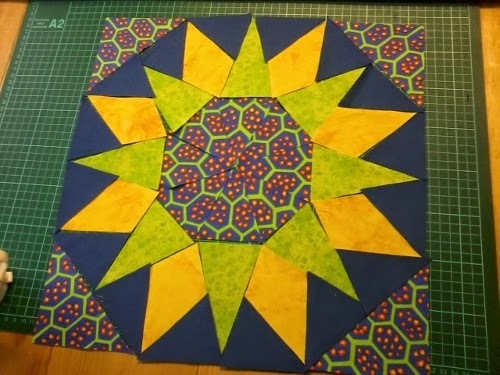 I never saw the point of quilting. Honestly how many quilts does one person need? Then I met Sharon. She runs Sharon's Sewing Service. I needed a zip replaced and I was too lazy to do it myself so I went for a visit. 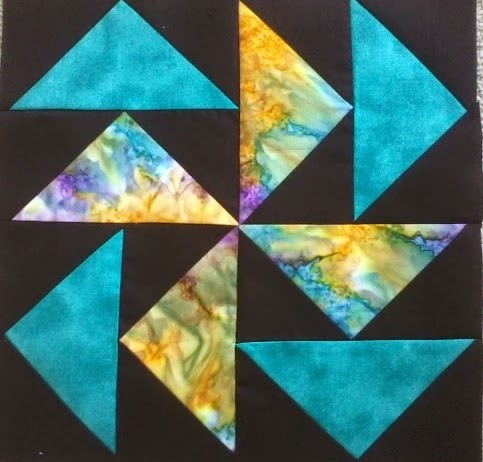 Not only does she sew but she has a patchwork fabric shop. She invited me along to her one of the sewing days that she has at her place and I was hooked. 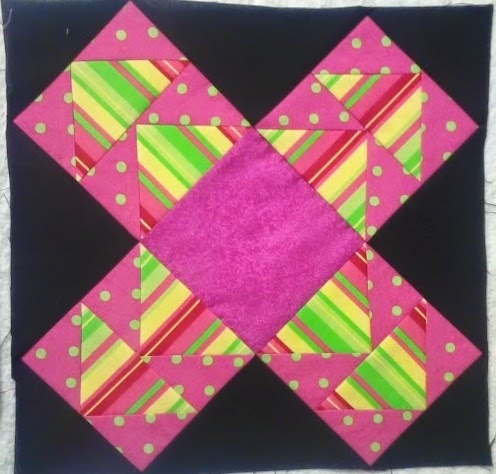 This year to encourage the ladies of the community in their patchworking/quilting/sewing she organized a friendship quilt. We meet once a month, Well twice a month now, and learn a new block. Everyone that wanted to participate put their names in a hat. Along side that hat was another hat which had the names of blocks that Sharon is teaching us through out the year. Names and blocks were drawn. The plan is simple enough. 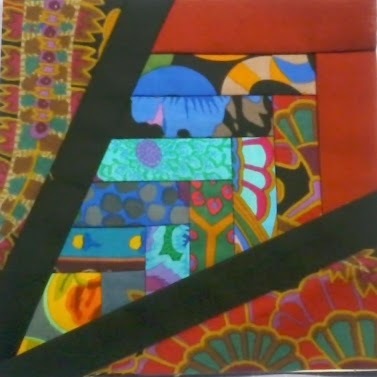 Person named decided on a colour and that was the colour theme for the block drawn and all the blocks sewn for that block are given to that person. 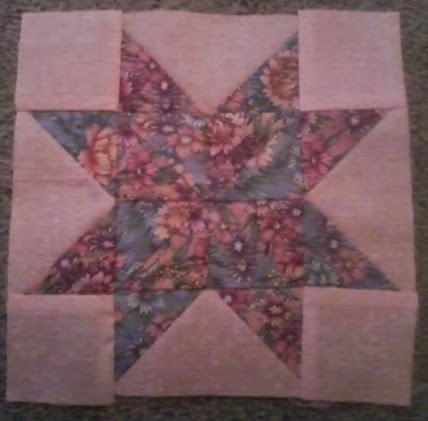 So here have been my contributions towards some lovely ladies quilts. 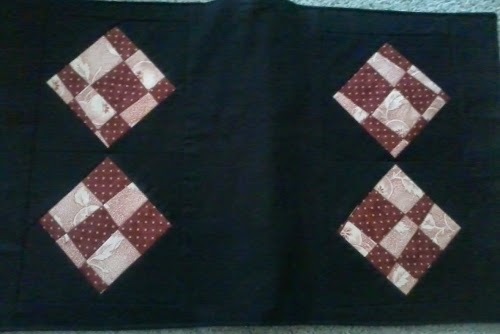 Also along the way I have done some other various sewing activities. 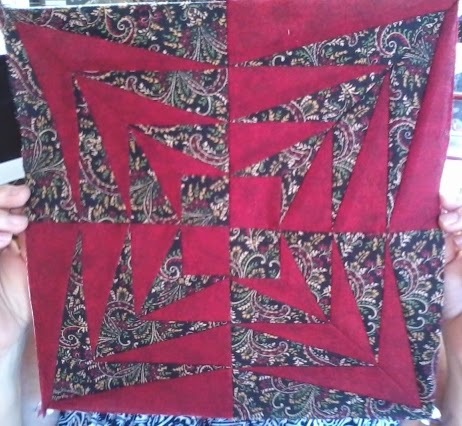 Before we tackled the palm leaf, we did another class on foundation paper piecing as no one had ever done it before. In case you didn't know its sewing material onto paper basically. The best part is you don't have to worry about bias or the grain of the material. It is a bit tricky at the start until you get the hang of it. 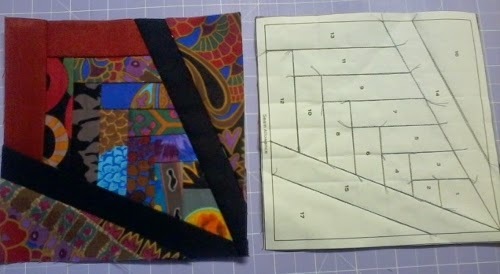 You have the material on the back and sew along the line. 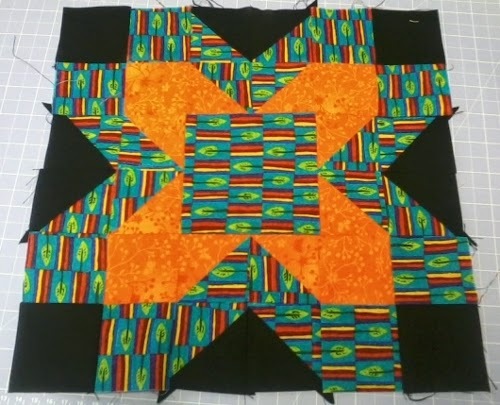 You do one section at a time so there is lots of getting up and down to trim and iron in between each new piece of material. So the picture above show what both sides end up looking like once you have finished. There are plenty of tutorials out there if your interested. 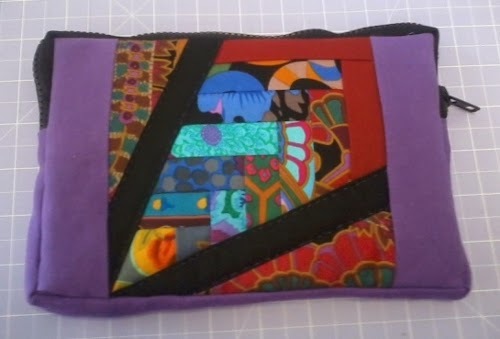 I then needed a sewing book to keep all my papers and designs in so I made myself a cover to go over one of those A4 display books. 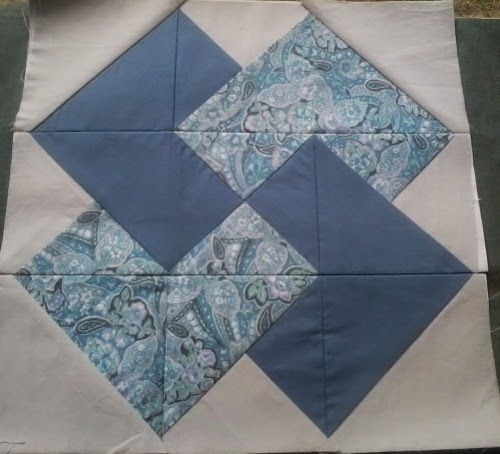 The photo below is of my very latest hand piecing project. The Atlantic Jewel. 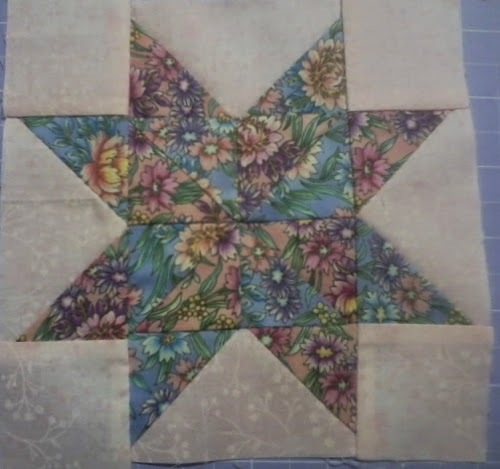 I'm going to be game and see if I can do more and turn it into a quilt, but I have to get this one sewn first. It took me ages to cut out the middle bit to get all the lines to match. Here's what it looks like just laid out. 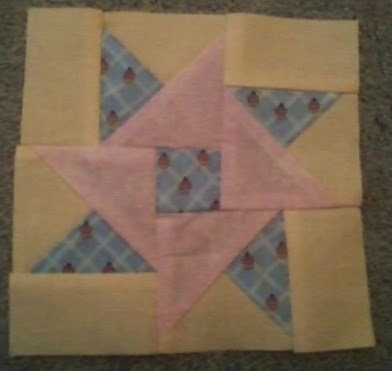 There are 8 triangles in that middle piece. 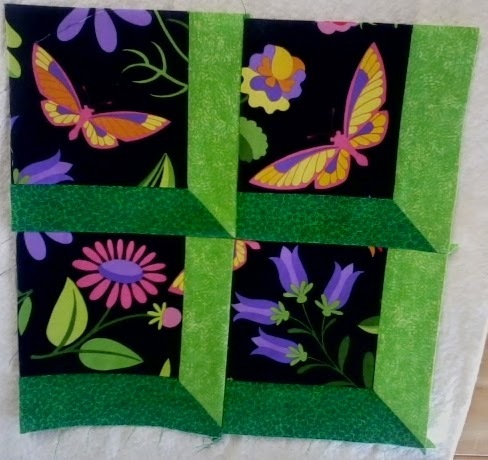 Sharon was showing us how to use fabrics with borders or patterns to create new patterns. 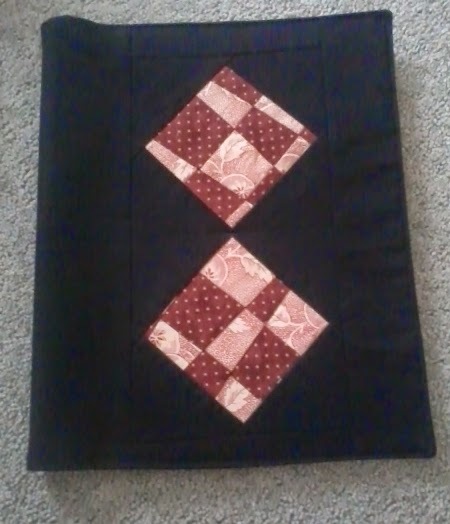 Sew sew sew, as you can see I have been keeping myself busy.